In its fourth year, AVLF at the Movies highlighted important, impactful issues affecting Atlanta’s communities. 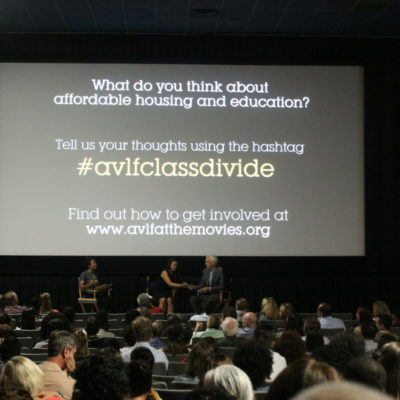 Over 300 people joined us to talk about the intersection between gentrification, affordable housing, and education. 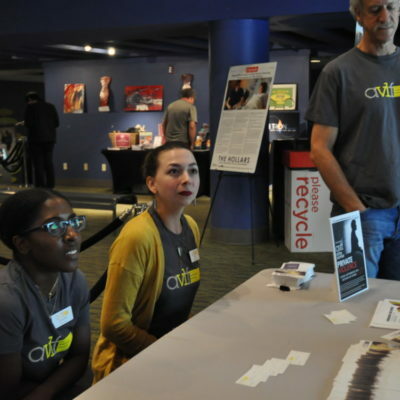 Nearly 150 friends of AVLF gathered at the Landmark Midtown Art Cinema on Tuesday, September 20, 2016 for a screening of Private Violence, which tells a story of violence, frustration, and sadness that also includes resilience, promise, and even hope for victims of intimate partner violence who choose to stand up against their abuser. 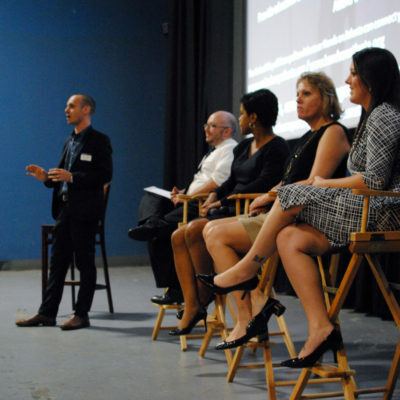 On Monday, September 21, 2015, AVLF hosted the second installment of AVLF at the Movies and featured the groundbreaking HBO Documentary Film Paycheck to Paycheck: The Life and Times of Katrina Gilbert. Over 200 friends of AVLF attended the powerful documentary chronicling the daily struggle of a working mother of three, Katrina Gilbert. 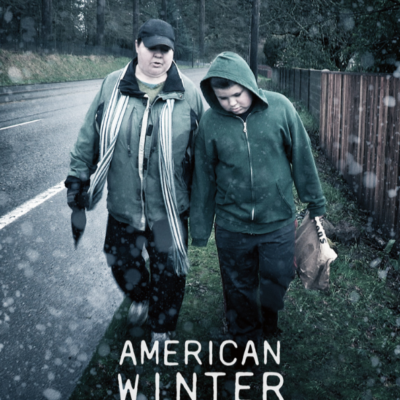 Directed by Emmy award-winning filmmakers Joe and Harry Gantz (Taxicab Confessions, The Defenders) American Winter follows the personal stories of eight families struggling in the wake of the worst economic crisis since the Great Depression.